I do not want to display file name of images in explorer. 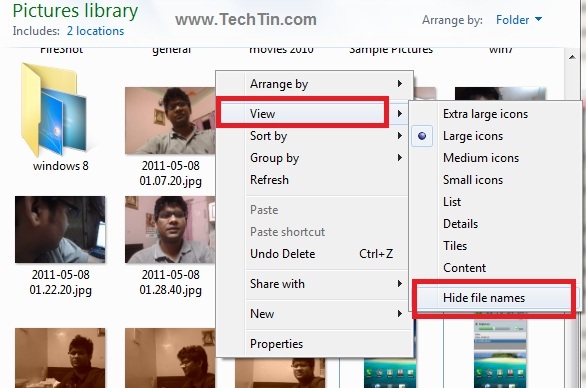 Here is an easy way to hide file name of images in windows 7. 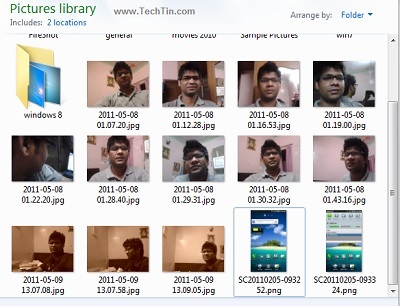 Right click in any folder having images and select View and then Hide file names. Now windows 7 will not show file name of images.